When you are initially arrested for a DUI, you are often thinking about the short-term, such as how you will hire an attorney, if you will spend the night in jail, or whether or not you’ll lose your license. But, have you thought much about the long-term? There are long-term consequences that come with a DUI conviction – and you may be unaware of just how a conviction will permanently impact the rest of your life. A DUI a conviction carries major ramifications, and some of those can linger for years. These long-term shockwaves can affect everything from your school to career to even your family and relationships. 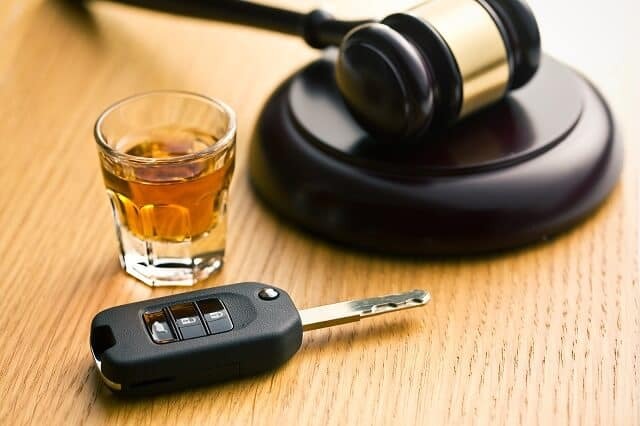 This is why it is so important that you hire a DUI defense attorney immediately, so that you can possibly minimize these effects. What Are the Long-Term Consequences if I’m Convicted of a DUI? Driver’s License Revocation – If you are convicted of a DUI, you could have your driver’s license revoked or suspended for an extended period of time. This makes it difficult for you to get to work, and if your employment requires that you drive, you could lose your job altogether. Losing the freedom to drive also means losing the freedom to run errands, attend family gatherings, or even engage in a social life. Background Checks – A DUI conviction will show up on criminal background checks conducted by schools, financial institutions, and even potential landlords. Some employers will also run a criminal background check, and may not hire you if you have been convicted of any crime. Employment – Your employment could be permanently affected by a DUI conviction. Court dates, community service hours, and jail time wreak havoc on employment – often resulting in the loss of a job. In addition, you may be at a serious disadvantage when you apply against other applicants who do not have a criminal background. Auto Insurance Rates Will Increase – Most likely, your auto insurer will increase your rates. This is because your DUI conviction makes you a high-risk driver; therefore, they will be unwilling to insure you at their discounted rate. Professional and Social Perception – In addition, people will perceive you differently when you have a DUI conviction. You could have issues at work with coworkers, lose respect from loved ones, and even deal with social isolation. Personal Relationships – DUI convictions will strain your personal relationships – among friendships, family relationships, and romantic relationships. You may even experience feelings of shame and embarrassment with yourself. Scholarships – If you are convicted of a DUI, you may not be able to apply for scholarships for school. If you currently have a scholarship, it may be revoked because of a DUI conviction. If you have been arrested for a DUI, do not risk the long-term consequences. Instead, contact me. I have years of experience in helping people just like you handle their DUI arrest. I offer free consultations, so there is nothing to lose by contacting me. Schedule your case evaluation now at 719-577-9700 or fill out our online contact form with your DUI questions.